Do you know how many SigEp Patriots were killed at the Battle of Iwo Jima? What is the name of the only U.S. Air Force base named after a U.S. Navy officer (and SigEp Patriot)? One of the missions of the SigEp Patriots Project (SPP) is to be able to answer these and many other questions pertaining to this unique group of Brothers, and it is why we have approached multiple members of the Headquarters leadership at both Conclave Phoenix and Dallas about establishing a dynamic partnership. To date, no luck, but we continue to be hopeful. Please read on to learn the answer to one of the above questions. 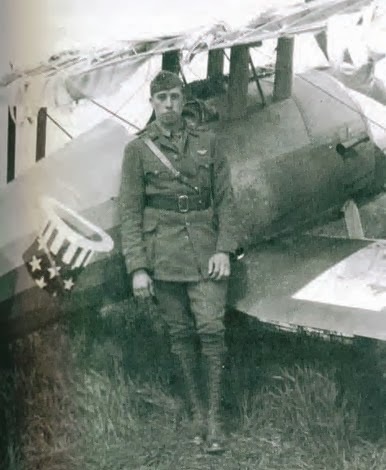 On this date, World War I Veteran and NY Beta Brother Lieutenant James “Jimmy” A. Meissner, U.S. Army Air Service reported to Major John Huffer, commander of the U.S. 94th Pursuit Squadron. Known as the “Hat in the Ring Squadron”, the 94th was the first entirely American unit to fly a fighter patrol. It was here that Jimmy became an Ace pilot, and good friends with Eddie Rickenbacker, the highest scoring American Ace of WWI. World War I Veteran and NY Beta Brother Captain Enoch N. Holstrom, U.S. Army died on this date in St. Luke’s Hospital, Chicago, Illinois after an illness of several months. In 1917, Brother Holstrom went to France as a second lieutenant with the 11th Engineers and was soon promoted to first lieutenant. At the Battle of Cambral, Enoch directed the construction of rail lines for the transportation of tanks to the front. This he did with such speed that he received a letter of commendation from General Pershing. During that battle, two hundred of his men were cut off from the detachment by a barrage, but he led them to safety and for this act of heroism he was promoted to captain. 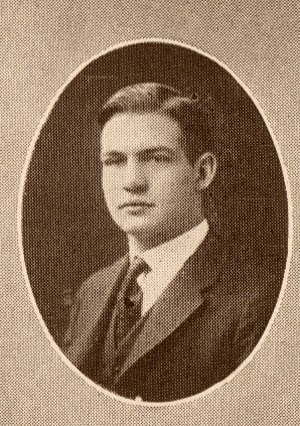 Enoch entered Cornell in 1912 as a student of mechanical engineering and graduated in 1916. Following graduation, he worked for the Wagner Electric Company in St. Louis, and later transferred to New York. After his return from France, Brother Holstrom moved to St. Paul, and in 1923 relocated to Chicago. World War I Veteran and VA Eta Brother Private Joel W. Flood, U.S. Army completed his term as a member of the Seventy-second U.S. Congress on this date. On this date, while serving as a test pilot, NC Delta Brother Lieutenant Seymour A. Johnson, U.S. Navy was killed when his Grumman F4F-3 “Wildcat” crashed near Norbeck, Maryland. Brother Johnson was flying aircraft #1844 out of Naval Air Station (NAS) Anacostia, now part of Joint Base Anacostia Bolling, Washington, DC, and before he crashed he transmitted, “Altitude 43,000 feet. Oxygen getting low. Coming down.” Several months after his death, in his honor the Army Air Forces Technical Training School in Goldsboro, NC was renamed Seymour Johnson Field – now Seymour Johnson AFB, making him the only naval aviator to have a USAF base named after him. Seymour enrolled at the University of North Carolina – Chapel Hill from 1920 until 1923, when he transferred to the U.S. Naval Academy. After graduating from the academy, Brother Johnson was commissioned as an ensign in the U.S. Navy and entered flight training. He received his pilot's wings in 1929. He served aboard the USS Florida (BB-30) and USS Galveston (CL-19) for two years when he entered Pensacola for a year, going thence to the USS Chester (CA-27), on which he remained until 1933. For two years he saw shore duty at the Norfolk Naval Base and then was assigned to duty aboard the USS Ranger (CV-4) – the first U.S. Navy ship originally designed to be an aircraft carrier, based in San Diego. 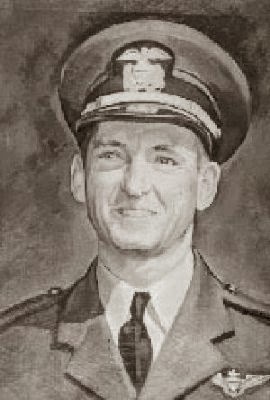 From 1937 to 1938, he was senior aviator aboard the USS New Mexico (BB-60), and served as a test pilot at NAS Anacostia after that until his death. At the time of the crash, Seymour had more than 4,000 hours in various naval and Grumman aircraft. He had been selected to be promoted to lieutenant commander in June 1941. Respect can be paid to Brother Johnson at Section 7, Site 8153 at Arlington National Cemetery, Arlington, VA.
Oklahoma Alpha Brother James M. Johnston, Class of '34, enlisted in the U.S. military on this date. New York Beta Brother Stewart W. Banks enlisted in the U. S. Navy on this date. 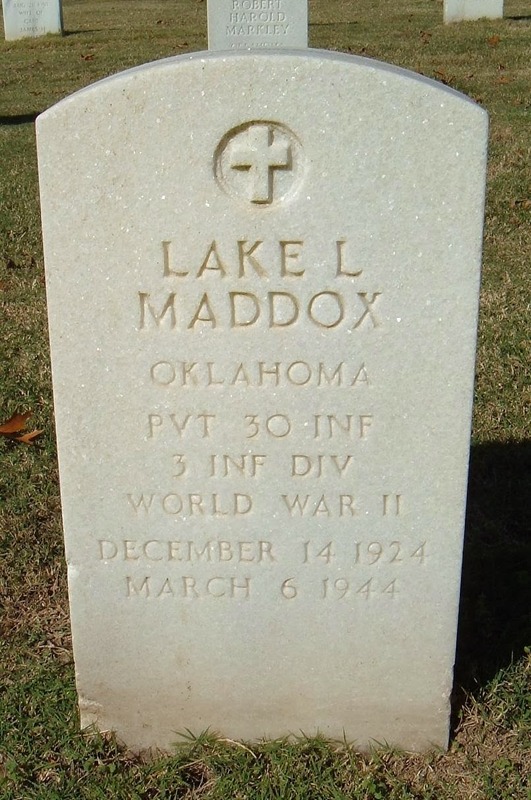 On this date, World War II Veteran and OK Alpha Brother Private Lake L. Maddox, U.S. Army made the ultimate sacrifice when he was killed in action at Anzio, Italy while serving in the 30th Infantry Regiment, 3rd Infantry Division. Respect can be paid to Brother Maddox at Section 4, Site 2133-B at Fort Gibson National Cemetery, Fort Gibson, OK.
World War II Veteran and DC Alpha Brother Major Vananda J. Meyl, U.S. Army Corps of Engineers was released from military service on this date after nearly three years of service. Ironically, during his military service, Brother Meyl served at Seymour Johnson Field. On this date, World War II Veteran and KS Gamma President Second Lieutenant Robert E. Stoddard, U.S. Marine Corps died of wounds received during fighting on Iwo Jima while serving with the 23rd Marines. Respect can be paid to Brother Stoddard at Westlawn-Hillcrest Cemetery, Omaha, NE. World War II Veteran and KS Gamma Brother Staff Sergeant Kenneth L. Hart, U.S. Army Air Corps was discharged from military service on this date at Fort Logan, Utah after more than 2 1/2 years of service, including nearly a year overseas. On this date, World War II Veteran and NY Alpha Brother Captain Frederick T. Turkington, U.S. Army Air Corps was released from military service. The Class of ’40 graduate from the University of Syracuse served for nearly five years, including his last 21 months overseas. World War II Veteran and PA Epsilon Brother Lieutenant Junior Grade Arthur J. White, U.S. Navy Reserve was released from service on this date. The Class of ’43 graduate entered the Navy Reserve following graduation, and served for more than 2 1/2 years, including overseas in the Southwest Pacific. The body of World War II Veteran and IN Alpha Brother Second Lieutenant Clarence C. Roudebush, Jr., U.S. Army was repatriated on this date. Brother Roudebush was killed in action in NOV 1944 near Pescara, Italy while a member of the 60th Troop Division. U.S. Army World War I Veteran, Judge (Nebraska 9th District), Nebraska Supreme Court Judge and NE Beta Brother Adolph E. Wenke, 63, died on this date after collapsing near the door of his office in the Capitol. Brother Wenke had just begun his 4th 6-year term on the high court bench when he died of a heart attack. Respect can be paid to Brother Wenke at Lincoln Memorial Park, Lincoln, NE. 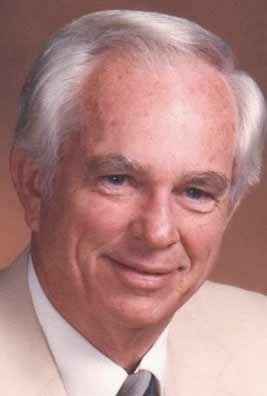 U.S. Navy World War II Veteran TN Alpha Brother James “Jim” T. Brantley died on this date at Middle Tennessee Medical Center just days before his 76th birthday. During the war, Jim served as a corpsman. At the University of Tennessee, Brother Brantley earned a bachelor of science degree in agriculture, and retired as a supervisor with ConAgra of Knoxville, TN. Jim was a member of the Manchester Lions Club, and the American Legion Gold Star Post 78. Respect can be paid to Brother Brantley at Robinson Cemetery, Loudon County, VA.
On this date, World War II Veteran and TX Alpha President First Lieutenant Charles L. West, U.S. Army Air Corps died peacefully in Midland, Texas. During the war, Charles served as a bombardier with the 7th Air Force, 30th Bomb Group in the South Pacific aboard a B-24 Liberator nicknamed “Ruff Knights.” They flew from bases on Guam, Saipan, and Tinian, and he and the crew of ten other daring young men, and an ornery dog named "Snuffy," combined to fly 43 missions. On one of those missions, Lieutenant West and the Ruff Knights led the entire bomb group on the final tactical assault prior to the invasion of Iwo Jima – where Brothers Stoddard and Uricchio, and as of yet unknown number of other SigEp Patriots, made the ultimate sacrifice. Following the war, Charles attended Louisiana State University and The University of Texas, where he became a SigEp and continued the SigEp Patriot legacy. After graduating in 1951, Brother West worked as an independent petroleum geologist for multiple companies, most notably Texas Pacific Oil & Gas and Beach Exploration, in a career spanning nearly 60 years through booms and busts. Charles was an active member of the Midland Downtown Lions Club, Midland Masonic Lodge #623, Scottish Rite, and Suez Shrine. OR Alpha Brother Lieutenant Commander Kent W. Wells, U.S. Navy (Retired), 71, died on this date in Damascus, Maryland. He served in the United States Navy on the USS Jonas Ingram (DD-938), the USS Franklin D. Roosevelt (CVA-42), and for the Naval Security Group in Edzell, Scotland and Misawa, Japan. He retired after 20 years of service and then worked for the Department of the Navy, as Division Chief, Central Adjudication Facility, Naval Criminal Investigation Service and earned a Meritorious Service Award. Happy anniversary to ND Alpha Brother Mark Becker one year after he was commissioned an Ensign in the U.S. Navy on this date in Newport, RI following 12 weeks of Officer Candidate School. * U.S. Air Force Vietnam War Veteran NC Delta Brother Philip B. Nash, 75, passed away 28 FEB after a brief battle with cancer. Brother Nash was an accomplished aviator and die-hard Tar Heels fan. A celebration of Phil’s life will be held at 1pm, Saturday, 08 MAR at St. John’s Cathedral, 1350 Washington Street, Denver, CO. The family requests that, in lieu of flowers, donations be made to Wings Over the Rockies Air and Space Museum in Denver. * TX Upsilon Founding Father Major Marion L. Cooper, U.S. Army (Retired) passed away 03 MAR. Marion served in the U.S. Army in both active and reserve duty for 26 years. A celebration of his life will be held Monday 10 March at Gorman-Scharpf Funeral Home (1947 E Seminole St, Springfield, MO) at 12:30pm. Our thoughts and prayers go out to the families, friends and chapter brothers of SigEp Patriots Nash & Cooper. The SigEp Patriots Project (SPP) pledges that their lives and service to the Nation will always be remembered. * On 07 MAR, Operation Iraqi Freedom Veteran and CA Theta Brother Frank Beardsley graduated from Contra Costa County Police Academy, and learned he was hired by Brentwood Police Department. Frank commitment to serving his community with distinction was demonstrated as class leader, and graduating 6th of 41 cadets. Congratulations Brother Beardsley! We always want to hear about your accomplishments and celebrations, and we hope you will send us your great news!